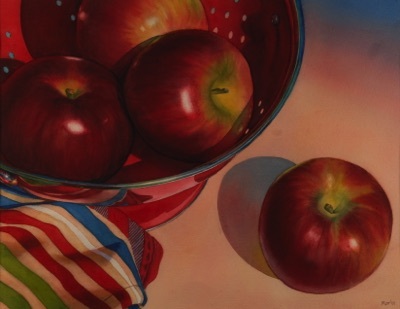 Do you struggle with how to start a watercolor? Throughout this six week class, Marla will be working on a piece from start to finish. This will enable students to observe her entire process and approach. Students will bring in their own sketched composition to class where we will analyze the design, strategize on the beginning steps, decide where to start, and in what order to approach the piece. The aim is to create a plan in order to diminish the initial intimidation that often comes with starting a new painting. Emphasis will be on observing the characteristics of light and shadows, developing a full range of values including rich darks and layering of paint for a luminous effect. Some watercolor experience is suggested. Contact me for futher information.